Goldman Sachs CEO Lloyd Blankfein has agreed to testify, if he's called, in the SEC's insider trading case against Galleon CEO Raj Rajatnam. 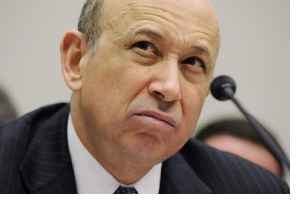 Blankfein has emerged as a possible witness for the prosecution's case due to former Goldman board member Rajat Gupta allegedly passing on inside information about the bank to Rajatnam. The SEC's complaint against Gupta claims that he told Rajatnam about Goldman's fourth quarter 2008 results ahead of the public release, as well as Warren Buffett's $5 billion investment in Goldman before it became public knowledge. The trial against Raj Raj is slated to begin this Tuesday. In other Wall Street CEO news, UBS head honcho Oswald Gruebel agreed to forego a 2010 bonus because, he said, he "was not in a position to add value for our shareholders—our share price ended 2010 at nearly the same level as it began the year." In fact, UBS' share price fell by 4.4 percent in 2010. Still, Gruebel's decision must not have been an easy one. UBS earned $7.68 billion last year under his watch, and several other big banking chiefs (including Barclay's Bob Diamond, RBS' Stephen Hester, Credit Suisse's Brady Dougan and Goldman's Lloyd Blankfein) all chose to pocket significant bonuses for their work in 2010.